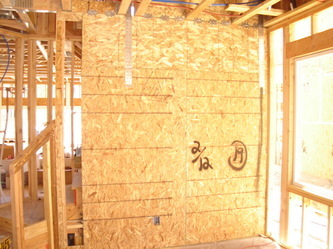 Typical wall construction. 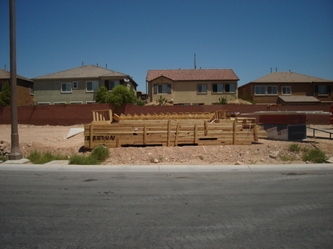 Click on the pictures to view larger images and for more info. The walls of homes are constructed primarily of wood using 2X4 or 2X6's. 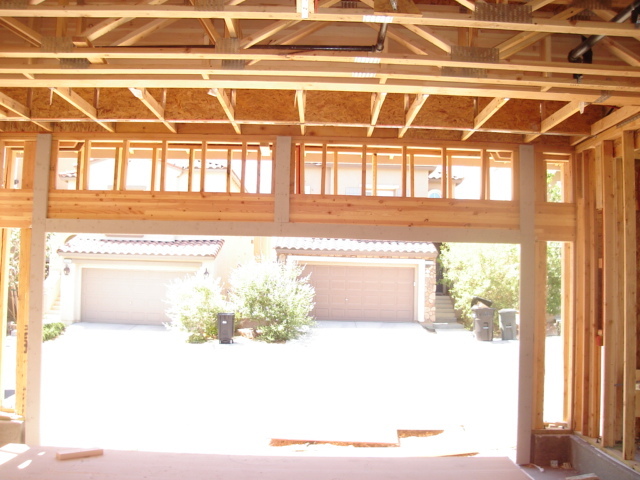 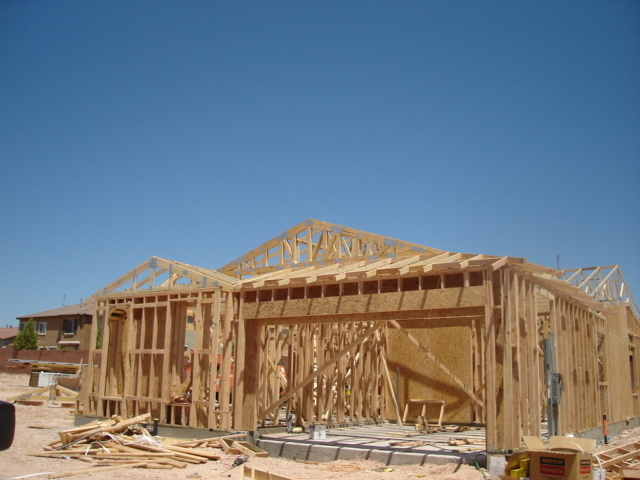 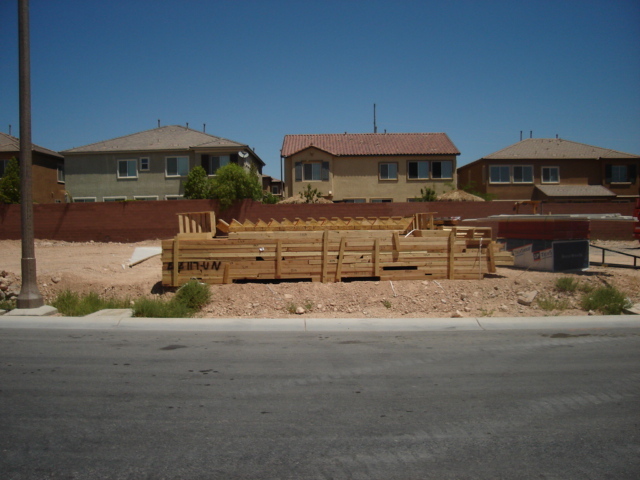 There are some homes in Las Vegas that are constructed using metal studs and metal roof trusses, but wood framing is the primary practice. 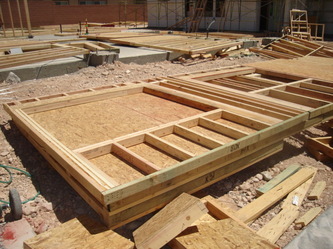 All walls have a treated bottom plate, although prior to around 1994, homes had redwood for the bottom plates. 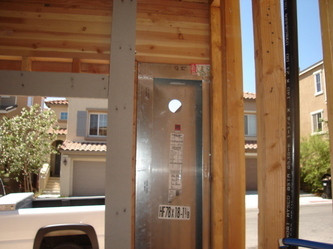 Two plates make up the top of the wall with studs making up the center of the wall, normally 16 inches on center. 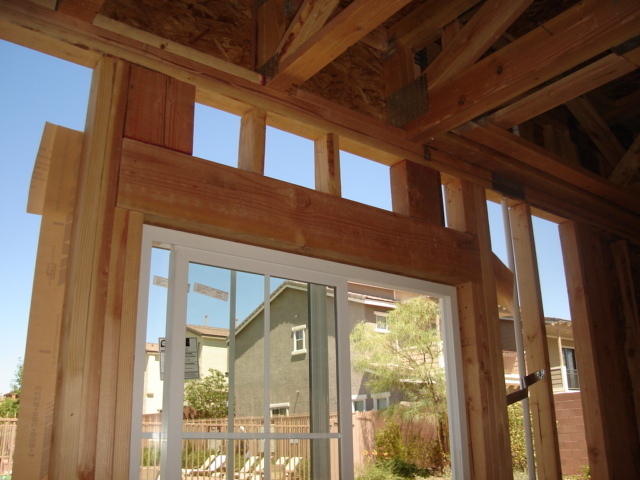 Walls with windows or doors have headers in them that carry the weight over the opening. Trimmers support the headers, sills support the windows and cripples support the sills. 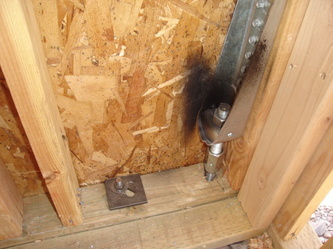 The exterior and structural plywood "shear" walls have anchor bolts that hold them securely to the concrete slab. 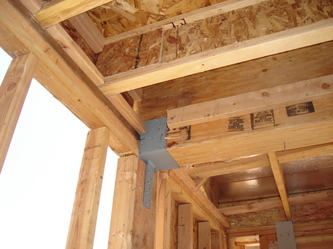 Some walls will have "hold downs" that provide extra holding power to keep the home from swaying. 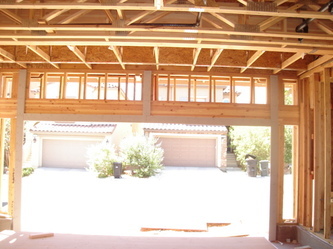 Some portions of some walls are made of steele or pre-manufactured structural sections. 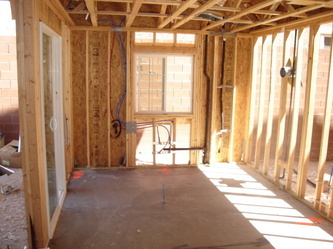 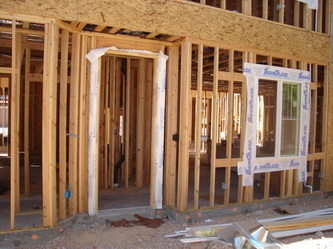 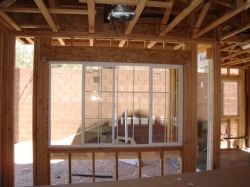 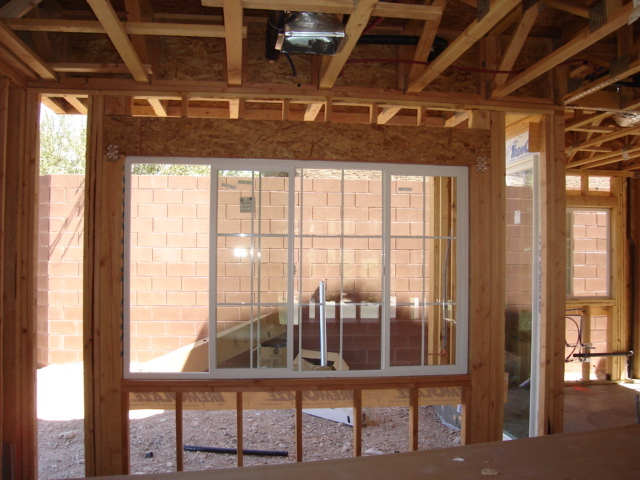 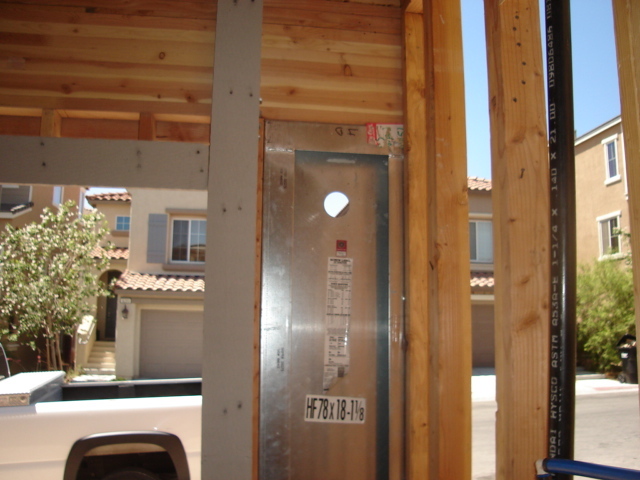 In the last few years some framing contractors have started using pre-fab walls. Pre-fab walls are usually built at a manufacturing plant at another location. 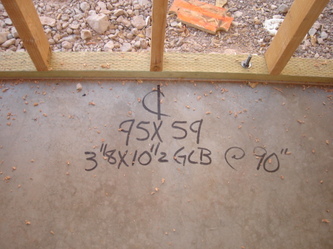 The walls are built in sections, labeled and shipped to the job site. 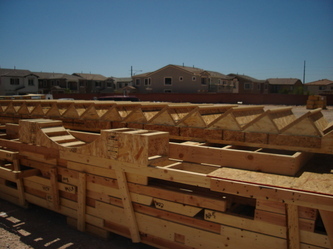 Crews then install the walls instead of building them from scratch on the concrete slab. 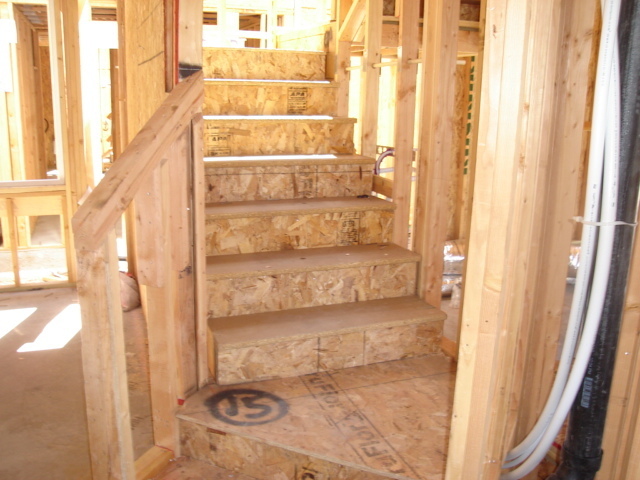 Most stairs, arches, platforms and smaller components are also pre-fabed.